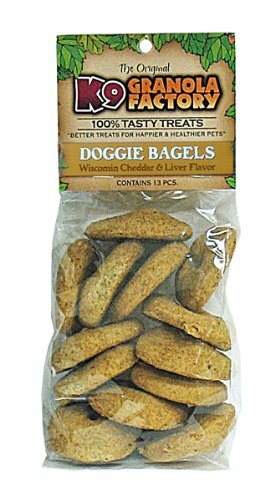 Our doggie bagels are oven baked and naturally delicious. These hearty little treats are blended with timeless dog classics such as peanut butter, honey and cheese. Great for all breed dogs. Life on the run means needing to pick treats wisely. At K9 granola factory, we supply you with an ever expanding list of all natural ingredients. We take the guess work out of good nutrition. If you have any questions about this product by K9 Granola Factory, contact us by completing and submitting the form below. If you are looking for a specif part number, please include it with your message.